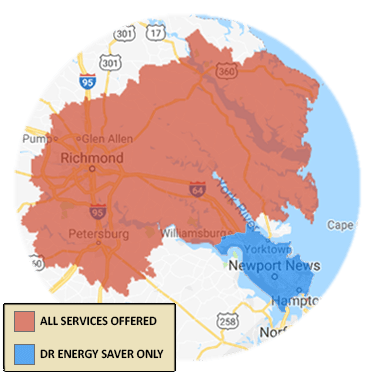 The U.S. Department of Energy recommends between R-49 and R-60 of attic insulation in Richmond, Williamsburg, Poquoson, and other areas. That's at least a 16-in.-thick blanket of fiberglass insulation! 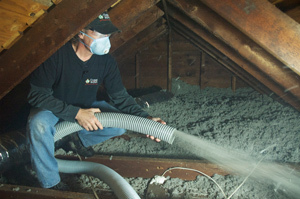 We offer Free Estimates for attic insulation in Glen Allen, Mechanicsville, Chester, Midlothian, Fort Eustis, Sandston, Toano, Hampton, Quinton, Henrico, and the neighboring locations. We also offer a unique system called the SuperAttic™ System, which adds a continuous & airtight layer of foam insulation beneath the attic rafters and inside the attic's gable walls. The Drying Co./ThermalTec can help. 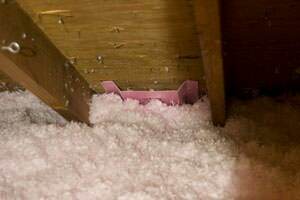 Air sealing is a critical step when insulating an attic because sealing air leaks stops conditioned interior air from leaking into the attic. The Drying Co./ThermalTec uses a variety of materials and techniques to stop this energy-wasting air leakage. 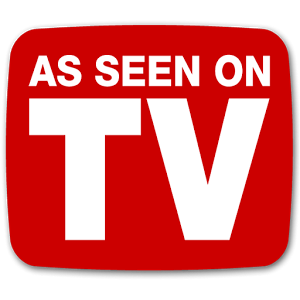 Call 1-833-933-3111 or contact us online to schedule a home energy audit or a Free Estimate for home insulation in Mechanicsville, Chester, Midlothian, Glen Allen, and in and around Toano, Quinton, Fort Eustis, Henrico, Sandston, Hampton, and Charles City.